Atopalm moisturizing creams fit in well with the SkinBeautyMall.com reputation for carrying those dermatological products that utilize patented Multi Lamellar Emulsion (MLE) formulations. Atopalm’s MLE technology imitates to a tee the lamellar structure of the skin’s natural lipids. The skin’s lamellar structure provides the human skin with a natural protective moisture barrier. Over time, however, this structure wears down and becomes weakened. Atopalm has solved that issue with the MLE care system incorporated into the moisturizers for dry skin formulas they provide. 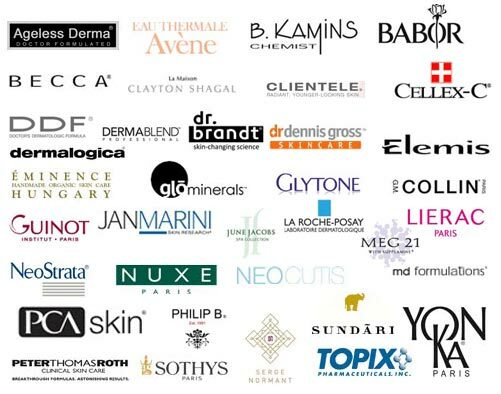 SkinBeautyMall.com has added Atopalm products to their line because of the rich emollient provided by the MLE formula that is inherent in each of the Atopalm moisturizing creams and lotions. Added to SkinBeautyMall’s lineup of quality skin care products is Atopalm’s Daytime Under Makeup Moisture Cream. This cream provides the face with that skin barrier protection against lipid loss that will add hydration to the skin and keep it in. The company has also added at least eight other Atopalm products to its specialized inventory. The additional Atopalm moisturizing creams and lotions just placed into the SkinBeautyMall.com lineup include Atopalm Intensive Moisturizing Cream and their Body Lotion, too. There is an Atopalm Moisturizing Eye Repair Cream, Moisturizing Hand Treatment, and an Atopalm Moisturizing Skin Revitalizing Complex. But the Atopalm line does not stop at moisturizing creams and lotions. They also make Moisturizing Cleansing Wipes that are portable and easy to take along on vacation or to the office. SkinBeautyMall.com also has acquired the rights to sell Atopalm Moisturizing Facial Cleansing Foam. It’s important not to dry out the skin with facial soaps and lose even more of the lipid barrier. Atopalm moisturizers for dry skin such as the Facial Foam will, with the MLE formula, add to the lipid protection and cleanse the face of dirt and makeup all at once. Atopalm is also not just for the facial area. They also have available a Moisturizing Foot and Heel Balm to rehydrate those extra-dry parts of the body that are often forgotten. Atopalm soothes and moisturizes callouses on the feet and targets those dry areas with its MLE formula, its key ingredient in the fight against dry skin. The Atopalm foot balm also has an extra touch to help fight fungi which can be a real problem in this bodily area. Eucalyptus oil has natural anti-fungal agents and it has a refreshing odor. 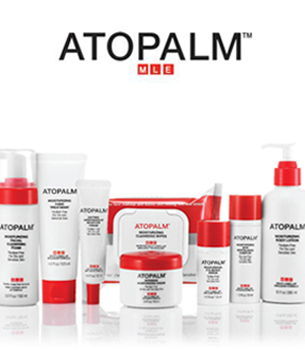 The researchers and medical professionals at SkinBeautyMall.com are proud to present the addition of the Atopalm family of skin care products to its collection of offerings. They are especially pleased that Atoplam products are free of parabens, are non-greasy formulations, and are dermatologist and ophthalmologist tested for safety and effectiveness.